Last week I used the blog to preview several of the paintings to be included in the show, here are a few more. 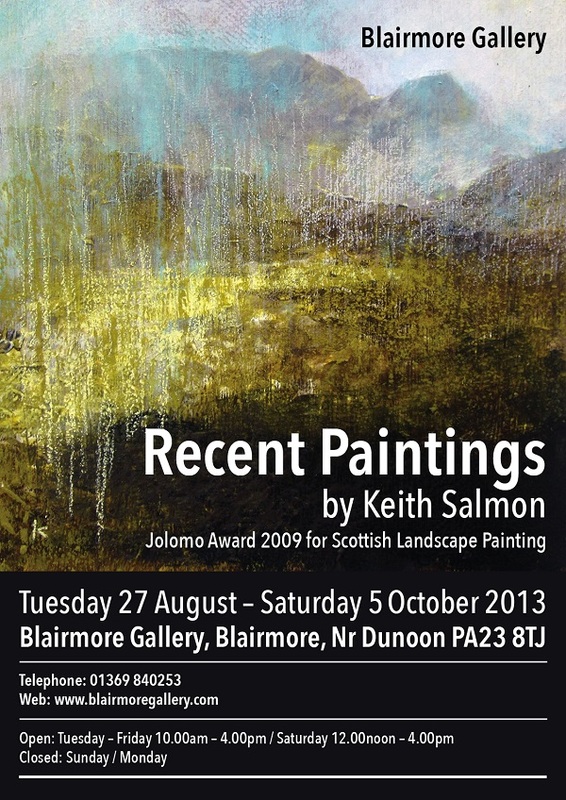 All 17 works will shortly be available to view on the Blairmore Gallery website, so if you can’t get to the gallery you can see and order work this way. By far the best way to see the exhibition though, is to take a leisurely trip across the water and to sit with a coffee, bowl of soup and or a cake ….and enjoy the paintings close up. I hope you can get along …it makes a great day out. Keith Salmon Poster the final version!